Green Day, wake up. It’s October and we have some primo trail running and ultrarunning race results to share. I’m talking about the Skyrunner World Series Ultra Pirineu, the USATF Trail Half Marathon National Championships at the Birkie Trail Run Half Marathon, the two-state The Bear 100 Mile, and more. 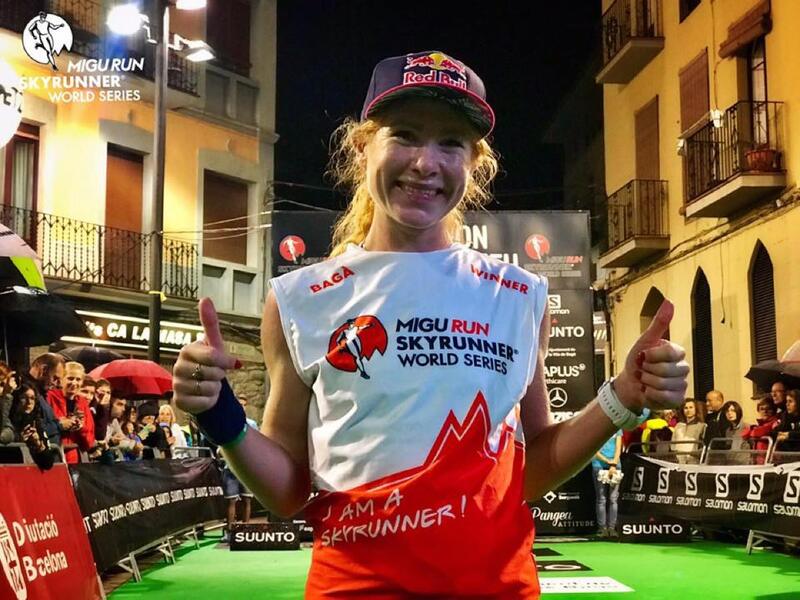 The 110k (68-mile) Ultra Pirineu gained 6,800 meters (22,300 feet), had some 1,000 runners, and was again part of the Skyrunner World Series. Three years into her ultra career and back where it began, Ekaterina Mityaeva (Russia) gained a signature win, and did it by a huge margin. Mityaeva’s 15:12 easily outpaced runner-up Magdalena Łaczak (Poland) and her 15:56. Roser Español (Spain) was third in 16:31. Íngrid Ruiz (Spain) led the women’s marathon race in 5:09. Ultra Pirineu was first held 10 years ago. Its inaugural winner, Jessed Hernández. Its 10th-anniversary winner, Jessed Hernandez. It took some real work and some late-race drama, though. Hernandez only overtook longtime leader Zaid Ait Malek (Morocco but lives in Spain) in the final 10k. The two finished in 12:35 and 12:40. Third-place Jordi Gamito, who was third at UTMB this year too, finished in 13:01. That made for a close-to-all-Spanish podium. Pablo Villa (Spain) won the accompanying marathon in 3:54. The next Skyrunner World Series race is the October 6 Pirin Ultra Skyrace 66k on October 6 in Bulgaria. Everyone knows the story, Spartathlon is as historic as it gets. The race runs one way between Athens and Sparta over 246k (153 miles). The results aren’t gender separated, but I think I’ve got this right. Women’s winner Zsuzsanna Maraz (Hungary) went the distance in 27:04. It was a fitting ascension, as she was second in 2017 and third in 2016. Kateřina Kašparová (Czech Republic) followed in 27:46, and Teija Honkonen (Finland) was third in 28:34. Yoshihiko Ishikawa (Japan) was victorious in 22:54. That kept Radek Brunner (Czech Republic) second for the second-straight year. He finished in 23:36. 2013 race winner João Oliveira (Portugal) was third in 24:33. U.S. runners Will Rivera and Bob Hearn were 15th and 16th in 27:00 and 27:01. Just 12 seconds separated their finish. Jon Olsen was 21st in 27:28. The Birkie Trail Run Half Marathon was again the USATF Trail Half Marathon National Championships, and that came with a $4,300 cash purse. Back from injury, Megan Roche won the women’s race in 1:27. As with the men’s runners below, cold and wet weather pushed finish times backward–(10/1/18 edit) and the course was reportedly an extra kilometer longer this year versus last year–and Roche was nine minutes behind the 2017 best. Samantha Lewis and Megan Lacy were second and third in 1:30 and 1:33, respectively. Joe Gray was racing and, well, he pretty much doesn’t lose in the U.S. Gray’s win marked his second straight here, and his 16th national-championships title. Gray’s 1:13 result was over three minutes back of last year’s time, thanks to the aforementioned extra distance. Familiar foe Andy Wacker was, also familiarly, second. He also ran 1:13, but was 27 seconds behind. Wisconsin’s own Tyler Sigl was third in 1:15. Point to point and low key by design, that’s the The Bear. It goes 100 miles from Utah to Idaho around Bear Lake. A new course record, that’s where Kaytlyn Gerbin’s dominant 20:45 ranks. Anna Frost held the previous course record of 20:59, which she set in 2014. (Kaci Lickteig’s 20:27 in 2016 was run on an alternate course due to inclement weather.) Gerbin finished third overall and won the women’s race by almost two hours. Second- and third-place Leah Yingling and Liz Canty followed in 22:39 and 23:02. Tyler Fox looks to be on the up and up. His 2018 has included a second-place run at the San Juan Solstice 50 Mile, a sixth at the Speedgoat 50k, and a win at the recent Devil on the Divide 50k. The Bear looks to have been his second 100-mile finish and he won in 19:53. Mazazumi Fujioka and Peder Anderson ran 20:28 and 20:54 to get on the podium. On a 9k course in Germany with 1,074 meters of elevation gain, the Hochfelln Berglauf race celebrated 45 years and marked the World Mountain Running Association’s fourth world-cup race. Rematch! Two weeks ago at the World Mountain Running Championships in Andorra, Lucy Murigi (Kenya) dumped Andrea Mayr (Austria), ending Mayr’s decade-long run at the top of the uphill world championships. The tables were turned here though and Mayr won comfortably in 47:44. It was her ninth win at this race and she finished just 16 seconds back of her own race record. Murigi was second in 49:15 and Michelle Maier (Germany) was third in 52:06. Geoffrey Ndungu (Kenya) escaped Francesco Puppi (Italy) in the final 2k, winning in 43:48. Puppi followed eight seconds later and Bernard Dematteis (Italy) was third in 44:05. 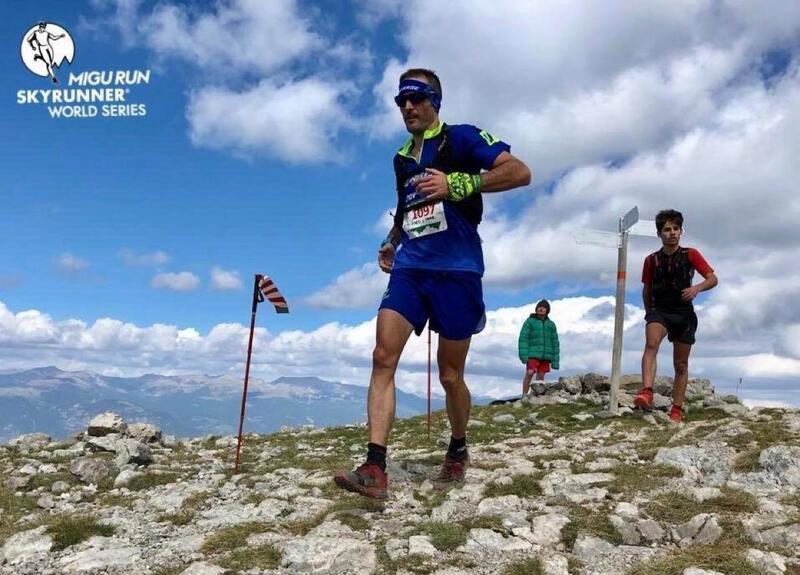 The fifth and final World Mountain Running Association World Cup race is next weekend at Slovenia’s Smarna Gora International Mountain Race. Can we get a Murigi-Mayr tiebreaker please? Held at a ski resort in the French Alps, the Verticale du Grand Serre is the shortest (read: steepest) vertical-kilometer race in the world. Axelle Mollaret (France) raced up in 34:36, and that is a new world record. It’s eight seconds better than the old mark, and that was worth a 2,000 Euro bonus. Men’s winner Rémi Bonnet (Switzerland) topped out in 30:13, 12 seconds better than Kilian Jornet’s previous course record, but still well back of Philip Götsch‘s 28:53 world record. Full results. In Tunisia, the second-ever Ultra Mirage 100k happened, all in a single stage, across the Saharan desert. 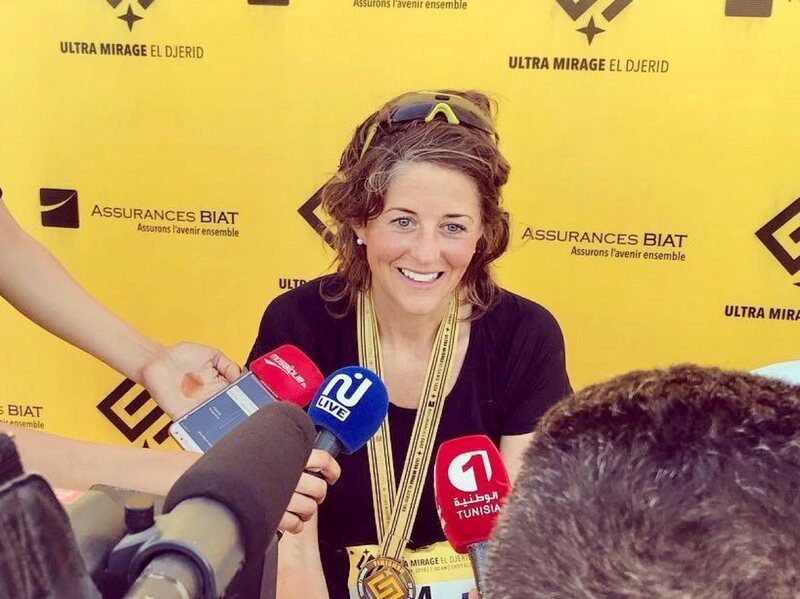 Marathon des Sables veteran Elisabet Barnes (Sweden) won the women’s race and 3,000 Euro. Oriane Dujardin (France) and Shefia Hendaoui (Tunisia) were second and third. Finish times were not yet available at the time of publishing. Desert-running legend Rachid El Morabity (Morocco) and brother Mohamed El Morabity were first and third in the men’s race, with Sondre Amdahl (Norway) splitting the pair. Full results (when available). Andrea McArdle and Craig Curley won the Mt. Taylor 50k on the race’s namesake mountain in northwestern New Mexico. The pair crossed the finish line in unseasonably warm conditions on a course that stays entirely above 9,000 feet altitude in 5:51 and 4:33, respectively. Curley is now a three-time winner of the event. Full results. Kim Dobson and Ben Zywicki won the 50k race at Denver’s The Bear Chase weekend-long group of races. The two finished in 3:54 and 3:20, and both are past U.S. Olympic Marathon Trials runners. Full results. The TARC Fall Classic is a 10-mile loop on repeat in Massachusetts, and over 50 miles, both Megan Lenane and Patrick Caron set new course records. Lenane ran 8:15, part of a group of three women that all went under the previous best, and Caron won in 6:52. It was his third-straight win here, with a new course record in each of his three years running. Full results. Kentucky’s second-annual Moonbow Ultra 50k looks wildly scenic on a remote trail in a remote section of the state. Hazel Frederick and Andrew Nelson won the race in 7:29 and 4:27, respectively. Nelson’s mark was a new course record, and the top-six men all went under the standard from the race’s inaugural year. Full results. The Overlook Endurance Runs take place on part of the Western States Trail, including the famed American River crossing. Heidi McKeen and Bob Shebest won in 9:21 and 7:21. 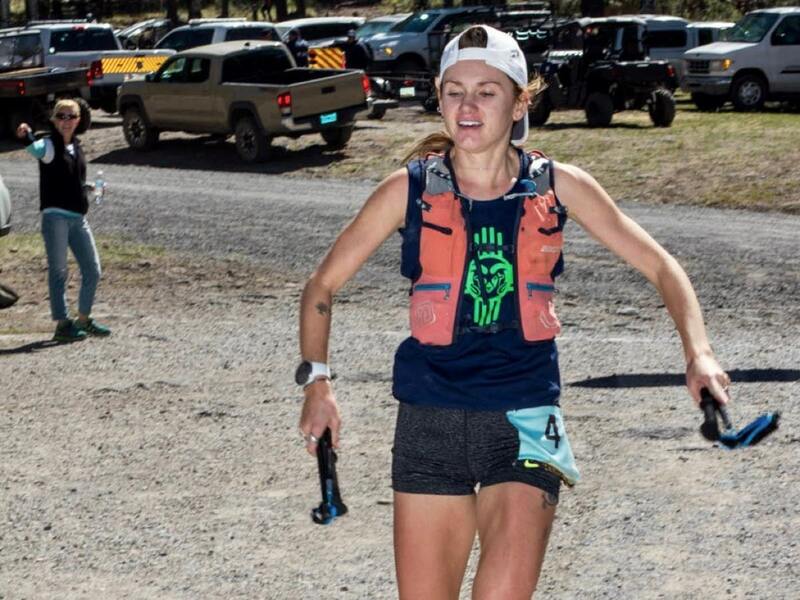 Shebest was racing just two weeks after finishing ninth at the Run Rabbit Run 100 Mile. Full results. The fourth edition of the Cat’s Tail Marathon, held in New York’s Catskill Mountains, enjoyed good weather for a change, but wet, wild and muddy footing due to rain in the preceding days. The race features about 7,000 feet of climbing, with some treacherous descents and rocky terrain. Amelia Kaufman was the first woman in 5:18, four minutes off the course record, and Aaron Stredny won the men’s race in 4:45. Full results. 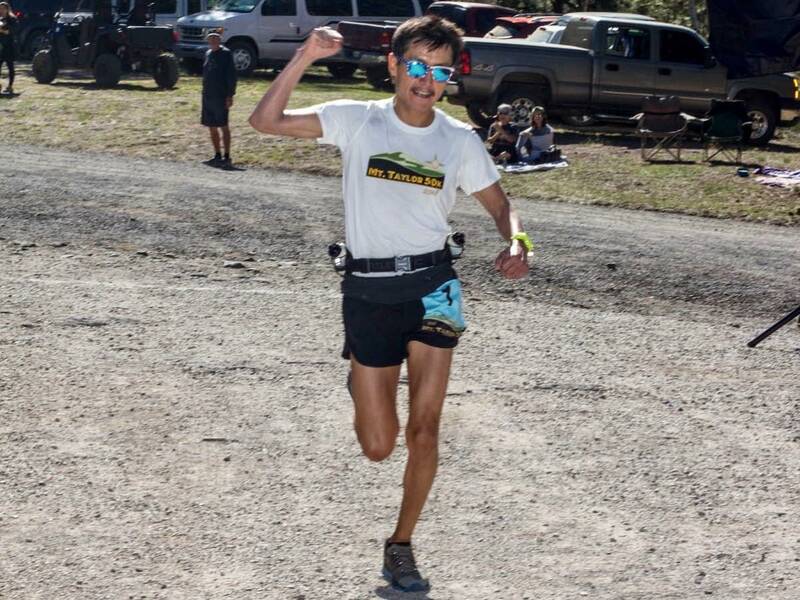 2017 third-place Sheila Vibert is the top returning lady to Virginia’s Grindstone 100 Mile. She’ll battle the nighttime start and the Blue Ridge Mountain out-and-back alongside top men’s contestants Neal Gorman, Jake Hegge, Michael Owen, and Nick Pedatella. Full entrant list. 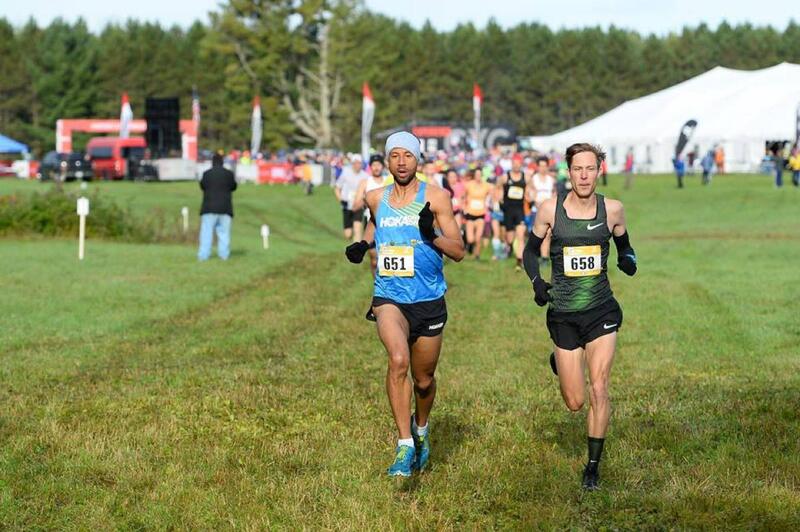 Just 53 solo runners are set to line up for the Tussey Mountainback 50 Mile in Pennsylvania, but it is the USATF 50-Mile Road National Championships. There’s a one-in-13 chance of winning for the ladies, but that thin field reads more competitive than the men’s. Kathleen Cusick, Keely Henninger, and Dani Filipek are each entered. Zach Ornelas looks to be a heavy favorite on the men’s side. Full entrant list. Another week down, congrats everyone! Let’s stretch the fun further with your comments below. Leave a note to share additional race results from races in your area, or to provide personal commentary on running or watching the races we did cover here. Thanks! Kaytlyn Gerbin is a beast. Has she come in anything other than first place in a race other than WS in the past two years? I cannot believe you forgot to mention the First annual running of the Boulder Seltzer Mile taking place next weekend! On the women’s side, Kristen Mohror and Becky Boyle have been putting up some impressive practice times and are coming close to the illusive sub 10 second chug. What other ladies are going to compete for the crown? Kay Borleis, and Jayme Bergeron are also entered but have no seltzer drinking results available in my archives. On the Men’s Side, Joseph Cavaretta has been on fire this season. He is almost unstoppable and has thrown down one of only two documented sub 10 second La Croix chugs. The only man who has consumed seltzer faster is the mountain man himself, Josh “Sasquatch” Robertson from Steamboat Springs. Josh’s time is under six seconds but how fast can he run the mile? Jack “In The Box” Daily and Guy Love are the races wild cards as they run fast sometimes but have no documented chugs. Jeremy Hendricks is the races most consistent competitor throwing down 13 second chugs day after day but there is rumor that he has been releasing the air from his cans hours before consumption. I might have to put on a Silverton satellite seltzer mile. More fizz at 9,300 feet! Is there a day of race reggo? Yep, just show up with your 12oz seltzers ready to go! This is soon to be on the same pedestal as UTMB. Carnage, vomit, speed, suffering, all with world class mountain views. With Kum & Go as the unofficial official sponsor, fuel and/or gas station sushi awards will be a big draw for crowds. The Vermont 50 was this weekend, featuring a 50k and 50 mile races. 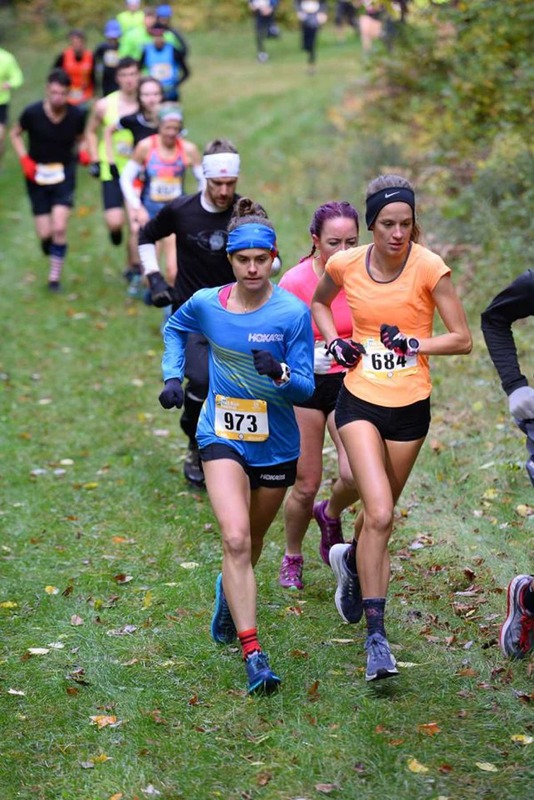 In addition to Heidi McKeen and Bob Shebest topping the 50 mile podium at the Overlook Endurance Runs, Kenzie MacPhail and Robert Schwartz won the 50k and Melanie Marisco and David Bowers were first across the line in the 25k. Thanks, Jo, we updated the article. Neal Gorman? That’s a blast form the past. I remember him running some good times at States and Wasatch around 2009/2010. I wondered what happened to him. Anyone know? he got sick (maybe from overtraining? I think there was an article about it somewhere, or he wrote about it on blog). however, I know he ran a few ultras AFTER that (a mid-pack UTMB finish, I think). I wonder if this is the return of fast Neal or if he’s just happy to be running and getting out there. either way, happy to see his name on here! Not only did Kaytlyn take down the CR at the Bear in a blazing time, but it also looks like Leah Yingling and Liz Canty broke into the top ten all-time amongst a stout list of women like Bethany Lewis, Angela Shartel, Nikki Kimball, Darcy Piceu, etc. Pretty stellar results for all three women this weekend. Hi, I can answer this with complete transparency. It’s pretty simple with no intentional oversight. I start every week by going through Ultrarunning.com’s calendar. Because that’s limited to ultras, things like this week’s Birkie Trail Half and the Cat’s Tail Marathon were not included in my first pass. Birkie got on the radar after seeing it on social media, and a friend of the family emailed about Cat’s Tail and I added that today a few hours after the column first went up. Looking at the above comments, I’m not sure if you’re referencing either Grand to Grand or Vermont. Grand to Grand was not on my radar this week. I think it was for the prior week, but it was just starting at that point and wasn’t included because of that. On Vermont, I checked both Cool Running and social media on Sunday, at least twice on Cool Running searching under the Vermont state option, but the results weren’t up yet when I was writing. I can promise you that I do go deep in trying to locate results – the week prior I watched a stream of the NorthCoast 24 Hour results for instance, before the results had been posted online. Oftentimes you’ll see me mention race winners but not a time or distance too, as further evidence of this. I think I found a link to The Bear results on Twitter when it wasn’t linked up elsewhere. That’s not meant to be defensive, just explaining how things get into the column, or don’t. Races that aren’t included generally aren’t included because I couldn’t find the results either on Ultrasignup, the race’s website, or Facebook, or because the column is already very full because of something like UTMB + TDS + CCC + OCC. If pointing to the Yeti 100, I did also check for those results too, but they’re weren’t online and their Facebook page is a closed group. I do always try to peek at Skyrunning, UTWT, Golden Trail Series, IAU, WMRA, and USATF calendars and include those races, but for the most part I couldn’t tell you what sponsors the above races have. Ultra Pirineu I do know has Salomon in its name, but I never include sponsor names in what I write unless its a case where the brand owns the race, like The North Face Endurance Challenge or Vibram Hong Kong 100k. That’s what I do. If anything, I think, my columns are growing in length with more time spent on it and more races mentioned than ever, so I’ll throw it back to you, could you spell out the disconnect you feel? Exactly!! !….irunfar and Justin do a stellar job and do not need to work any harder than they already are to cover every single race! perhaps YOU should use ultrasignup/runsignup to find results? Thanks for the summary, great as usual! Besides keeping up to date with the top-shelf results, I also use this column as a source of information on interesting events I didn’t know before, so once again many thanks for including a wide selection. 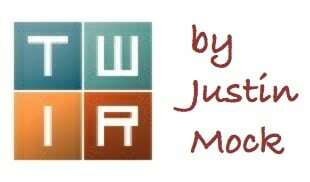 Fantastic job Justin, couldn’t be any more clear or transparent! I look forward to this column every single Monday morning! Magic Michael Wardien won a marathon at Gillette stadium and then graced us with his speed at a podunk 5k in Concord, MA. Just a regular guy with two great kids. Was very cool to see him. 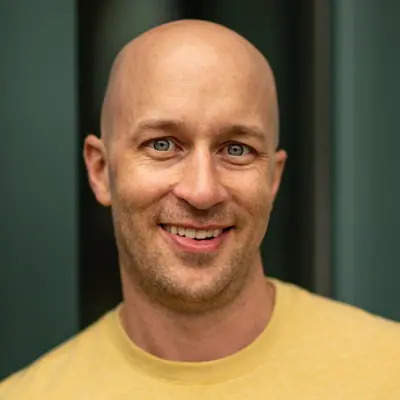 As one who spent years doing the kind of summaries that Justin does every week, my hat’s off to him for his thoroughness. Obviously, he focuses first on races with A-list competitors. If you get Jim Walmsley or Courtney Dauwalter in your race, you’re gonna get some coverage. Races that don’t publish results in a timely fashion will likely get ignored. As they should be: it’s not that difficult to get results up within a day of your race. You may be partial to your local 50K, but there are dozens of them every week, most of them lacking in significance to anyone who didn’t actually run it. Even then, if you have results you can add them in the comments section. Great job, Justin! I look forward to seeing this column every week. Great column as always! A little added color about that TARC Fall Classic from a local. Watch out for that Patrick Caron character in the next several years. What the write up didn’t mention is that those three successive course records were set when he was 19, 20, and 21 years old, respectively. He has also been on a tear breaking FKTs all over northern New England this year, and lowering them by hours, not by minutes. I would not be at all surprised to see him competing at the highest levels of the sport in another few years. Don’t forget about the historic Le Grizz 50 miler next weekend, oldest trail race in MT.